Three kids raised by the undead, set out on a journey to find their living relatives in the hopes of experiencing a normal life. What they discover is how harsh the living can be and learns that it doesn’t matter whether you’re weird, normal, invisible, or eclectic, as long as you have people you love and who love you, it will always be an extraordinary life. 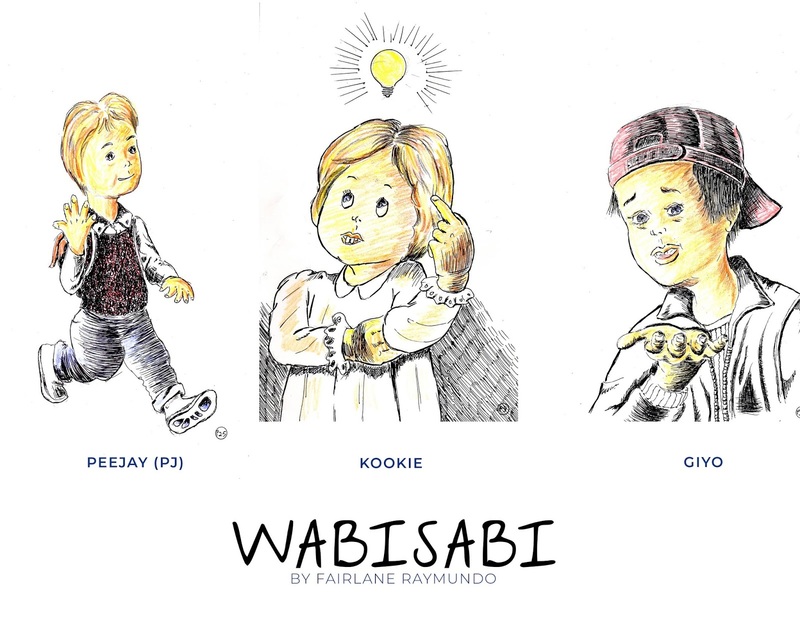 PJ, Kookie, and Giyo are three ordinary kids who like playing computer games, sports, movies, and music except for one thing, they are raised by ghosts and monsters. PJ and Kookie's mother, Thelma, came from a family of powerful witches. When she fell in love with an ordinary mortal, her parents cursed her and the guy, Sam. They died but their soul is stuck on Earth. Together with other ghosts and monsters, they raise PJ and Kookie with all the love their dead body can give. But outside their home, PJ is an outsider. He is isolated and is known to be the "weird" one. His only friend is Giyo. Giyo also comes from a family of monsters but his parents are still alive. PJ decided that he doesn't want to be the weird one anymore and look for his grandparents so they can lift the curse and set their parents' soul free. As soon as he finished grade school, he gets on a boat and leave town. Giyo decided to accompany PJ and Kookie snuck out to follow the two. Armed with their life savings and several clothes, they begin the biggest adventure of their short life. What they didn't expect is to be met with bad people who prey on kind people like them. Follow their adventure as they face the challenges of the big bad world of the living with nothing but each other. WABISABI (adj.) A Japanese word that describes a way of looking at the world. It’s about accepting the transience and imperfection of things. And thus, for the time we have left, seeing beauty in the things around us. Peejay is on his last year of grade school. Just like any other kid, he loves sports, playing games, movies, and sleeping. He loves his younger sister, Kookie, a lot. He is a good boy and grew up with love. That's why he is kind, truly kind. He is trusting and giving and loving. It is also this kindness that doesn't makes him seem a pushover because he doesn't understand how people can be so unkind. Peejay is 10 years old and has been lifelong friends with PeeJay. He was raised by monsters, like PeeJay although his parents are still alive. He is grumpy most of the time and doesn't smile a lot but he is very protective of PJ and Kookie. He loves playing the guitar and loves hiphop. She loves her bunny doll, a gift from PeeJay when she turned 2. She loves PeeJay and doesn't ever want to be separated from him.